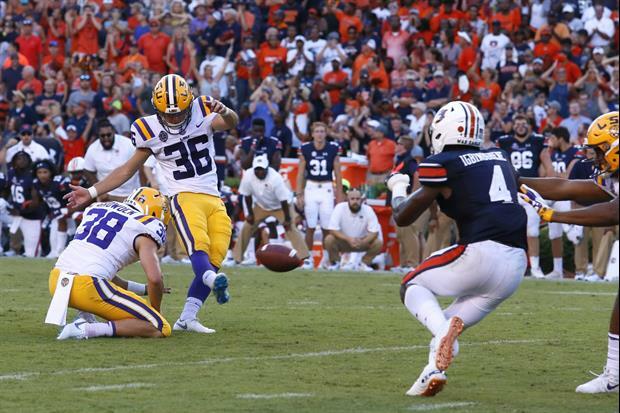 LSU kicker and Lou Groza Award finalist Cole Tracy has been invited and has accepted an invitation to play in the Senior Bowl. Tracy, a transfer from Assumption College in Worcester, Massachusetts, made 25 of 29 field goals this season and knocked in all 28 extra-points he attempted. He will join LSU tight end Foster Moreau in the game. The Senior Bowl will take place on Saturday, January 26 at Ladd-Peebles Stadium in Mobile, AL. And to think everyone thought O was crazy for wasting a chilly on him, go figger. Best offensive player on LSU squad. Thank You Cole!!!! Wish we had met you sooner.